Over the past decade the Religion vs. Atheism debate has generated a lot more heat than light. With passionate advocates on both sides, it is possible we have lost sight of the real people and problems behind the controversies and conflicts. In Faitheism Krish Kandiah asks us to take a long hard look at ourselves - and a more understanding look at each other. Written for both committed Christians and committed Atheists and everyone in between, this accessible and practical book can help all of us find a way to talk about the things that really matter to us in ways that encourage empathy, mutual understanding and respect and yet that don't shy away from tackling the hard topics. The ideas in this book can transform our relationships, our workplaces and our nation as it lays down a path for a genuinely more inclusive, hospitable and understanding society. Krish contends that whether you are a Christian, an Atheist or somewhere in between, we can all grow in our own beliefs and understand each other better. 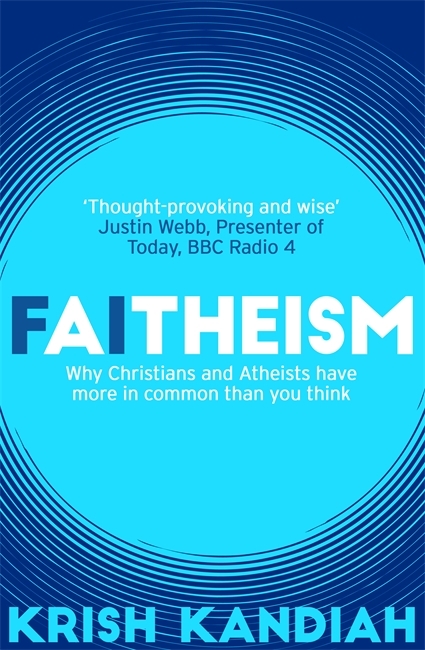 In this challenging exploration of the myths about Christianity and Atheism, time and again we will find the evidence shows that the truth on the ground is not what one might expect - and the potential for genuine understanding is far greater than the antagonists on either side would have you believe.